People like Angelina Jolie will always elicit a reaction, whether positive or negative, from just about everyone. It’s hard to ignore her kind. Extremely attractive, to say the least. (Yes, this can backfire when people choose to be ruled by jealousy, envy, competitiveness, pettiness, cattiness.) Far from conventional, by most American standards. Defiant even. Not an airhead either. Opinionated and passionate. Outwardly, very cool, confident, calm, and collected (4-C’s!) to complement the charisma and comeliness. Iconic, I would go as far. I have always found her an attractive woman to start with. She defies conventional categorizing, i.e., cute, girl-next-door type, all-American, classic, fun, athletic, bombshell, siren, etc. She can be a lot of these, I suppose, depending on whatever transformation she has come up with. But that’s her on-screen, not in real life. I respect her insistence on privacy and owning her life. I lump her with Jody Foster, Meryl Streep, Daniel Day Lewis, etc. for their celebration of their being public figures while at the same time insisting that the public keep their distance with their private lives. You know how impermeable their shields are when the media publish the most outrageous stories taunting them to respond. Does not work! I do have a sister-in-law who might spit at the mere mention of her name though, even to this day. “That adulteress!” I can hear the disdainful hiss. That’s okay too. Everyone has an opinion and is entitled to it. And then she comes out of her uber-private sanctum to talk about her preventive double mastectomy. She says she wants this event to take the conversation about breast cancer to yet another level for women around the world. Click on My Medical Choice, her Op-Ed published by New York Times on May 14, 2013. Breasts have never been a neutral topic either. Breasts evoke femininity, nourishment, mothering, reproduction, and, in the last couple of hundred years, sexual symbols. More so, in the recent hundred with all the fashion accoutrements, enhancements and even reduction options. Even young girls, as early as middle school, are conscious of “cleavage” advantages. Then imagine the body-image issues that accompany mastectomies and breast cancer, and this is on top of the angst over any big-C! Not even all the psychiatrists in the world can assuage the psychological abyss that a woman can plunge into with all the bombarded images of beauty the media has dished out. How many women of all ages have we lost over the decades to this unfair affliction? Too many. 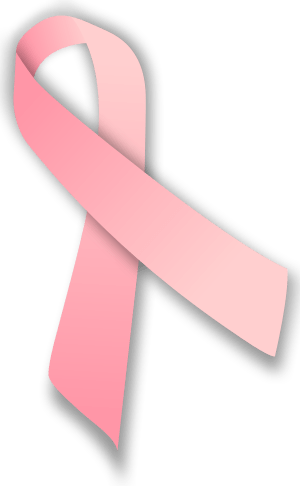 I have lost some friends to breast cancer over the years. Some of them were people I went to school with. I have friends who have the breast-ovary-colon cancer spectrum in their family and their family members have been advised to complete their families early and have prophylactic mastectomy and/or ovariectomy by their mid-thirties. When I was gathering information about this a few years ago for a friend, I found out that up to 18% of women with this family history have been found to have stage I or II ovarian cancer at the time of prophylactic ovariectomy at the recommended age of 34-36 years. It is a very formidable adversary indeed! I do have a family history of breast cancer, albeit a little bit removed. One maternal aunt and my maternal grandmother both succumbed to it. My aunt was 42 when she was diagnosed and she passed away before she was 50. My grandmother was in her early nineties when she was diagnosed and she lived another few years after treatment. The latter might not count for much considering her age. I am lucky that I have been found to be BRCA negative, although I deplore the health care industry for not picking up the tab for this and for Myriad and their steep pricing for the test. It’s prohibitive for most women at this time. I saved up for it. My hubby supported me on the decision to get tested. I am posting this bit of news to salute Ms. Jolie for what she is doing. All this has taken a lot of courage and conviction on her part. I admire people who turn a bad event in their lives into something that will bring about good. I do my best to always do that. I hope she uses her celebrity status to keep the conversation alive and spur more research and advancement in such technologies, even transcend ultra-religious wailing and thrashing about. I also hope she can stimulate conversation about body image issues and perhaps, fuel doubt with the existing distorted standards for beauty in our dysfunctional society. Am I asking for too much? This entry was posted in Breast Cancer, Mastectomy, Women's Health and tagged Angelina Jolie, BRCA mutation, Breast cancer, cancer, Health, Mastectomy, New York Times, Oophorectomy, postaday 2013, postaweek 2013. Bookmark the permalink. Go, Angie! I’m glad she did this. While it can be a very private and traumatic thing for a woman to go through, she chose to use her celebrity for the greater good. Props to her, I think. Pingback: Let’s Join The Fiercies! | Not the Family Business! Her courage is an inspiration. What she is doing takes a lot of heart and strength but her faith shine like no other. I hope for her safety and fast recovery. When we loose a family from a disease, it opens our eyes to our vulnerabilities. If we can prevent them, why not. I just hope we can be as strong as Angie. Yes! Thanks for your thoughts. I have always admired her and have a feeling there was a difficult childhood there. Many years ago, Ted Kennedy waged the battle against radical mastectomies when a lumpectomy would do. We were the only Western nation that did not do a lumpectomy first and then prepare a woman if a mastectomy was the only answer. I believe Angelina may move medicine and the awful insurance companies in the same direction as Ted Kennedy did so long ago and I applaud her for that. I did not know this about Ted Kennedy. Thanks for the info. Yes, this is very important! I myself admire Angelina’s beauty, some writer called her femme fatale. I’m ambivalent about the double mastectomy procedure she got for herself. True that it reduced her chance of breast cancer however I’m questioning about her vulnerability for lymph edema. Hmmnnnn I guess the benefit of the procedure she had outweighed the risk. After all lymph edema must be easier to manage than the sneaky cancer cell. Thank you for this post and also for allowing me to share my thought. Hello, my dear. Grateful for your visit. Yes, I realize lymphedema would be a problem. I hope it’s not so bad for her. My aunt had it for a bit when she was alive. I remember the arm exercises to alleviate the swelling. Indeed this is an issue that needs to be addressed out in the open. I commend Angelina on her courage though it is to be considered that she is in a privileged position to make decisions. Most insurances will not pay for preventive procedures and therefore leaves a good portion of women without the possibility of making that choice. Others don’t have the supportive mechanism around them (whether it be family or friends). Yet for others reconstructive surgery is not only scary but financially unviable. Regardless, Angelina -being a public figure who treasures her privacy- is to be applauded for coming out with her choice. And you are right, I find her truly unique and beautiful in manner. Defiantly so. This article was very informative on a subject that is so important for women. The new mammograms are quite incredible and are not like the old garage door smashing down. Thank you so much for sharing this.